I am overjoyed to announce that at Worlds 2018 we crowned a new Queen Bee! Jaxon Gluck made top 16 at Worlds with the bee card Na’Not’K. 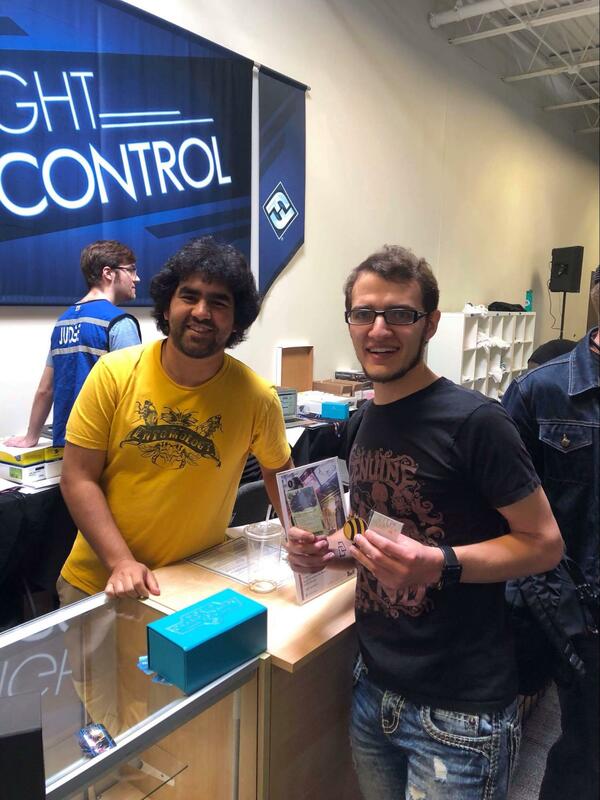 He played a Comet Ayla deck complete with delightful includes such as Oracle May, a Takobi, and a 1x Day Job, which seems at its best when paired with Comet. Jaxon is a real-life beekeeper! Take a look at his deck write-up for a picture of his actual bees. Jaxon was the first person to email me to register for the Queen Bee competition. His email was, incidentally, quite heartwarming. Jaxon told me if Na’Not’K wasn’t on the list he would have put a Honeyfarm in his corp deck. WHICH IS SOME FRIGGIN’ DEDICATION. In addition to being a bee card, Na’Not’K is also a sodium-potassium pump card. Every time a criminal player pays influence to import a killer, a bee gets its wings. It’s possible the art depicts robot wasps instead of robot bees. But the distinction between wasps and bees is kind of arbitrary, and once you consider that these are robot bees in a cyber realm, the distinction is even more arbitrary. So there. Congratulations to Jaxon for his excellent Worlds performance. I could not be more happy that Netrunner-related bee judgments continue to be in good hands. Thank you to everyone who either registered for the Queen Bee competition or was unknowingly registered without their permission. Thank you to FFG OP for not shutting down my illicit side-competition I was running while performing official judge duties.